Remember Pookie? How about O-Dogg, or Smokey? These are some of our favorite characters from classic hip-hop movies! 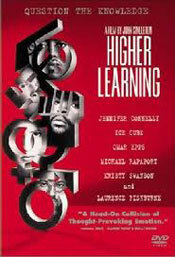 Part of my love for 90’s hip-hop was the movies that were made during the time. Spkie Lee opened the nations eyes with Do The Right Thing in 1989. But it was during the 90’s that hip-hop proved that it could be just as successful on the big screen. 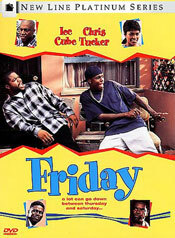 Up until this movie came out, hip-hop looked to movies like Scareface & The Godfather for reference. But when New Jack City came out, all of that changed. 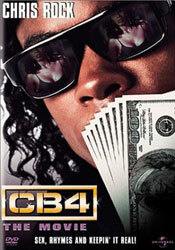 It’s the story of the rise and fall of the fictional CMB (Cash Money Brothers) NY drug empire. Nino Brown, played by Wesley Snipes, did an excellent job as the ruthless leader of CMB, one of the best movie bad guys in my opinion. 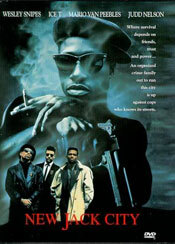 Includes a star-studded cast including Mario Van Peebles, Chris Rock, Ice-T, and wait, was that Al B Sure I just saw? 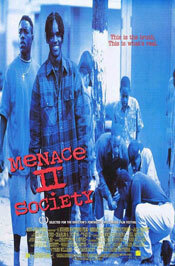 John Singleton's directorial debut, this movie was an eye-opening look into inner-city Los Angeles. 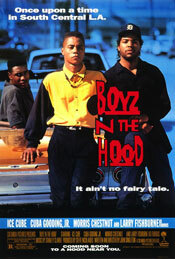 The story follows the lives of 3 friends growing up in the hood. Even though the movie was set in LA, people across the nation could relate with the experiences in the movie. Ice Cube as Doe Boy was another one of our favorite movie bad boys. Also starring Cuba Gooding Jr., the lovely Nia Long & Morris Chestnut as "Ricky! Ricky!!" Kid-N-Play were actually the first hip-hop duo to successfully break thru onto the big screen. 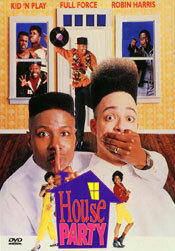 This playful movie follows the antics of Kid-N-Play as they attempt to throw the best House Party. Also starring Martin Lawrence, Tisha Martin-Campbell, and the late great Robin Harris. This duo showed that they were not only successful behind the mic, but on the big screen as well. OK. I had to put a comedy in here. And let's be real, this was Chris Tucker's greatest performance, as Smokey! It also gave us the character that was so hard, his name became a verb, D-Bo: To forcefully take something from somebody with no regard. i.e. You just got D-Bo'd! None of the sequels came close, but the original will live with us forever. 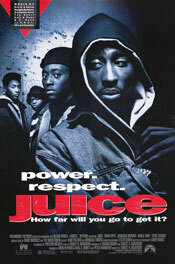 Following the lives of four young teenagers in NY looking for respect, or “juice.” Basically, 2Pac’s character, Bishop goes crazy and starts trying to kill everybody, and Omar Epps, as Q, is the only one that can stop him. The movie served as a launching pad for 2Pac. He said playing the role of Bishop allowed him to walk thru any ghetto in America and get love. Another violent, gritty, real look into the streets of L.A. Even though the main character Kane did a horrible acting job, second only to Lisa Raye in Players Club, it did include our favorite thug at the time, O-Dogg, and the lovely Jada Pinkett. Typical story line though, young man succumbs to hood violence, cute girl is moving and wants her man to come. Hey, didn't Jada play that same role in Jason's Lyric? A hip-hop documentary about the rise of hip-hop and its culture. Includes live performances and interviews with the biggest rappers of the time. From back stage interviews to following tours, the film makers give you a glimpse of life behind the curtain. Doing it for the ladies of hip-hop. 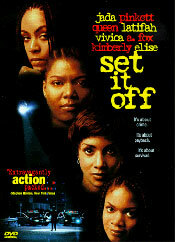 The movie featured a strong female cast including Queen Latifah, Vivica Fox & Jada Pinkett pulling off the heist of a lifetime. Good acting, storyline and ending make for a good watch. 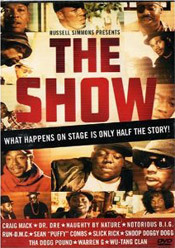 Written by Chris Rock, this is a comedy/spoof documentary about a hip-hop group out of LA. The brilliance is in the writing as they successfully impersonate the rap styles of the time. From NWA & Public Enemy to CC & the Music Factory, no one is safe. John Singleton’s take on race relations in college during the 90’s. Young people from different cultures and backgrounds struggle to coexist on this Campus. Personal, political, and racial dilemmas lead to great sub-plots. Can’t we all just get along?